Item Number : 02254Feature : 3-PANEL BLACK WOOD SCREENDimension :.. Item Number : 02285Feature : 3-PANEL NATURAL WOODEN SCREENDimensi.. WOODEN SCREEN98014 KITDIMENSION: (18" x 4) x 59"HFEATURE: dark brown finish.. WOODEN SCREEN98017DIMENSION: (16" x 3) x 71"HFEATURE: scenery finishPackage.. Item Number : 02284Feature : BK WOOD SCREEN TW (RMDIV00)Dimension.. Item Number : 02277Feature : CHERRY WOOD SCREEN (2284 STYLEDimens.. 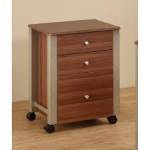 FILE CABINET 92073Item Number : 92073Feature : FILE CABINETDimens..
HEBRON STORAGE BENCH Walnut FinishThis contemporary, wooden bench has padd.. Here is a clever way of storing evey day items. This storage stool is avai..